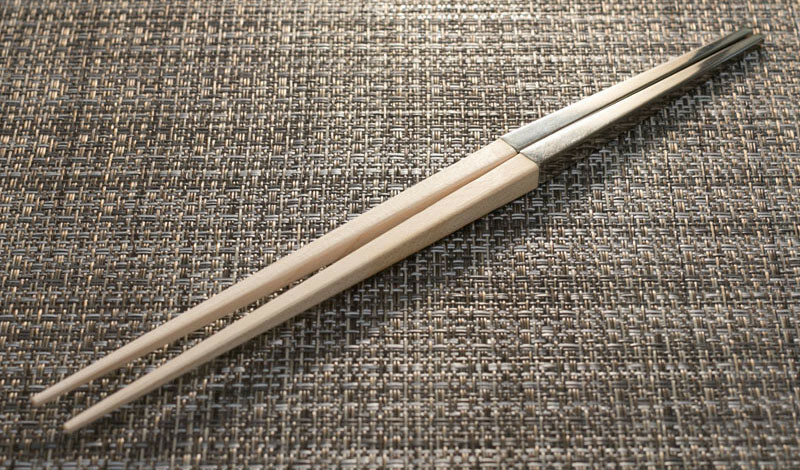 When Dang Tran was eating with chopsticks, he noticed that when he put his chopsticks down, they would lay directly on the table, unless he had a chopstick rest. 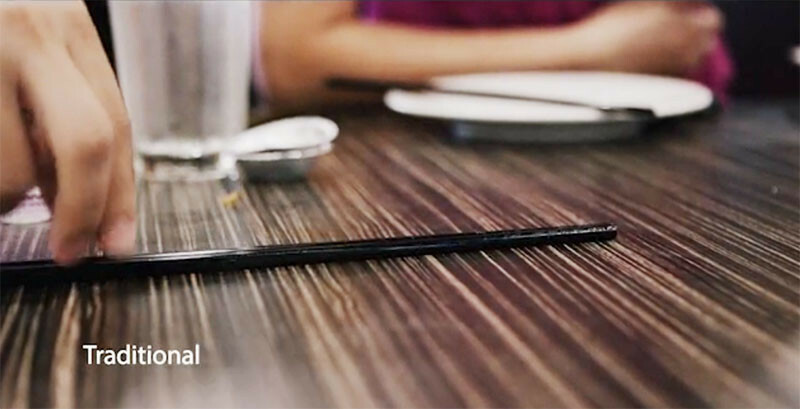 It was this action that made him realize how unsanitary placing them on the table was. 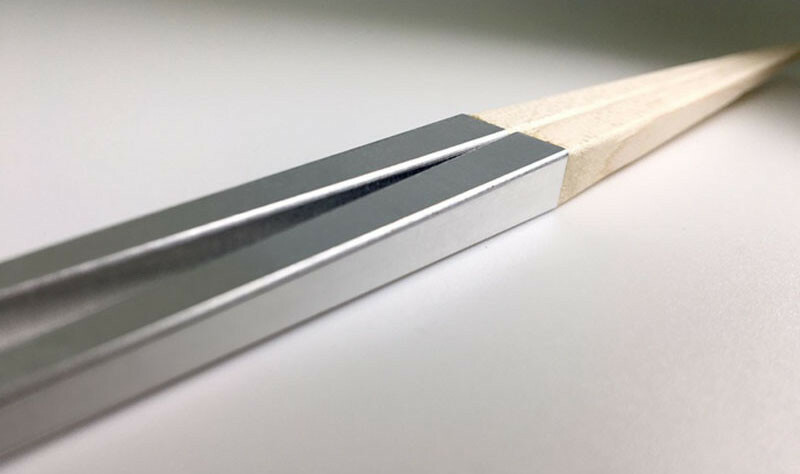 Dang decided to do something about it, so he designed Gravity Chopsticks, a pair of chopsticks that when resting on tables, the part that touches your food, never touch the surface they are resting on. 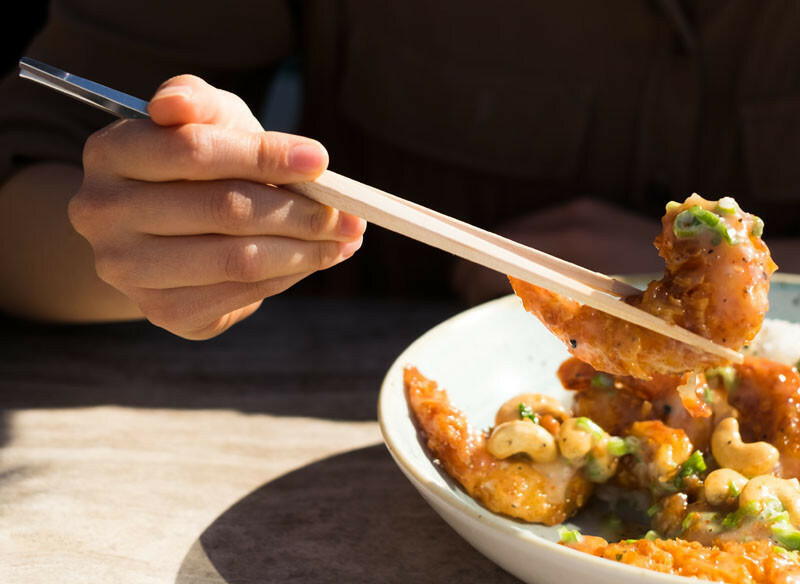 The chopsticks are weighted so the end you hold is slightly heavier than the end you pick up your food with. 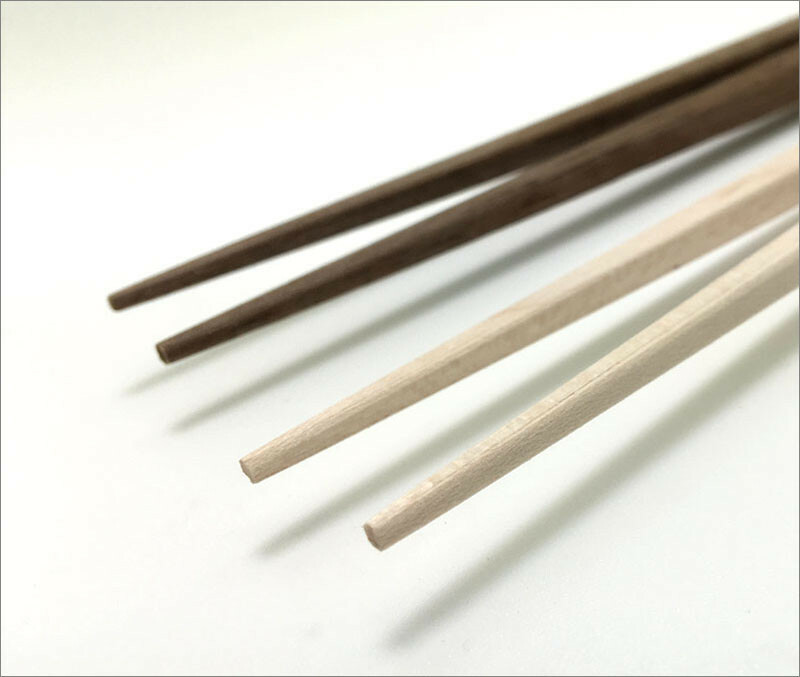 The chopsticks are made from either Maple or Walnut and aluminum. 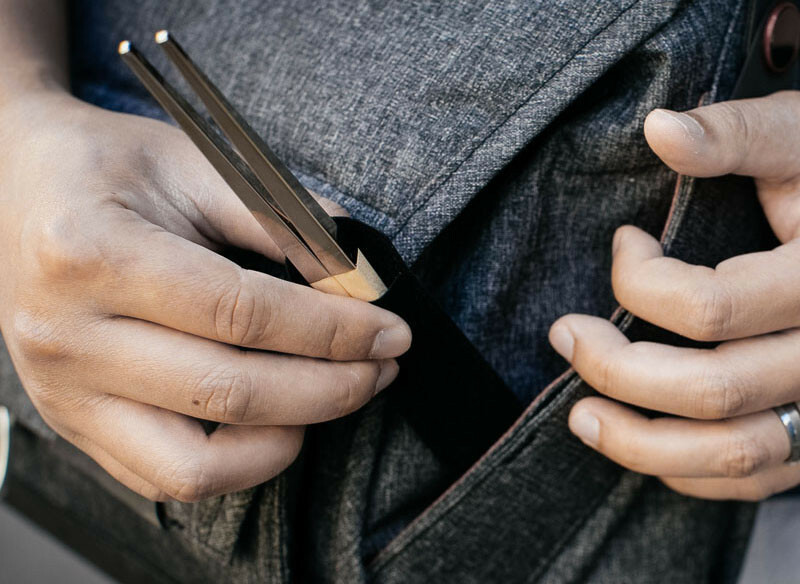 The chopsticks are re-usable, and come in a velvet travel sleeve. 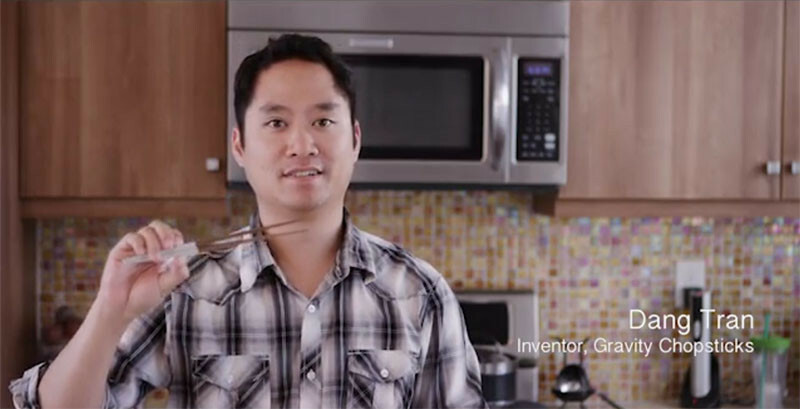 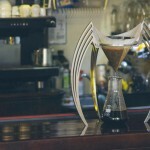 Watch the video below to learn more about the Gravity Chopsticks, or check out their Kickstarter campaign, here.